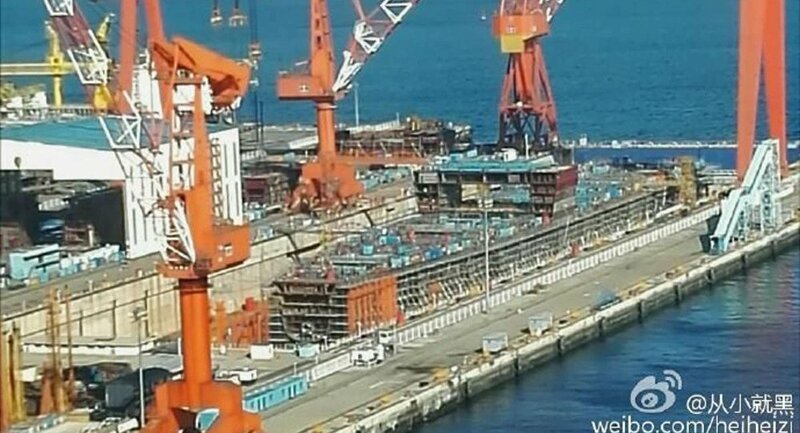 Workers at the Dalian Shipyard in China's Liaoning province are putting together a vessel that could be the first-ever Chinese-built aircraft carrier. A section of what appears to be part of a hangar and flight deck has been added to the vessel, which has been the subject of much speculation due to the “no photography” signs around its drydock. 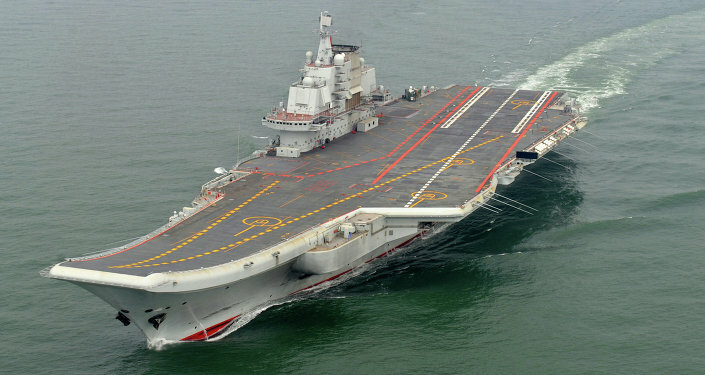 In a photograph published on a Chinese military enthusiasts' website, the vessel features a large open compartment that is three decks high and takes up much of the width of the ship – most likely a hangar for aircraft. Until it becomes clear whether an angled flight deck is to be installed, it remains possible that the vessel could be either a carrier or an assault ship, as a large hangar and flight deck would be a feature of both, IHS Jane's reports. However, with a waterline length in excess of 885 feet, if it is an assault ship it would be bigger than a 45,000-tonne America-class LHA, the largest in the US Navy. The carrier likely will be launched in the second half of 2016, and be commissioned sometime in 2019, Popular Science reports. It would join what is now China's only carrier, the Liaoning. Beijing purchased the 60,000-ton Soviet-era vessel from Ukraine in 1998.